FULL ENGINE SERVICE AND REVISION 2014. ENGINES C. 250 HOURS SINCE REVISION. UPDATE: The hull has now been painted white, some photos may still show the hull in green. An ideal well equipped live aboard with 3 cabins in the main accommodation deck and a further crew cabin accessed through the foredeck hatch. There is the main saloon and a further smaller saloon forward next to the main helm. A spacious flybridge and a large cockpit provides plenty of outside space. 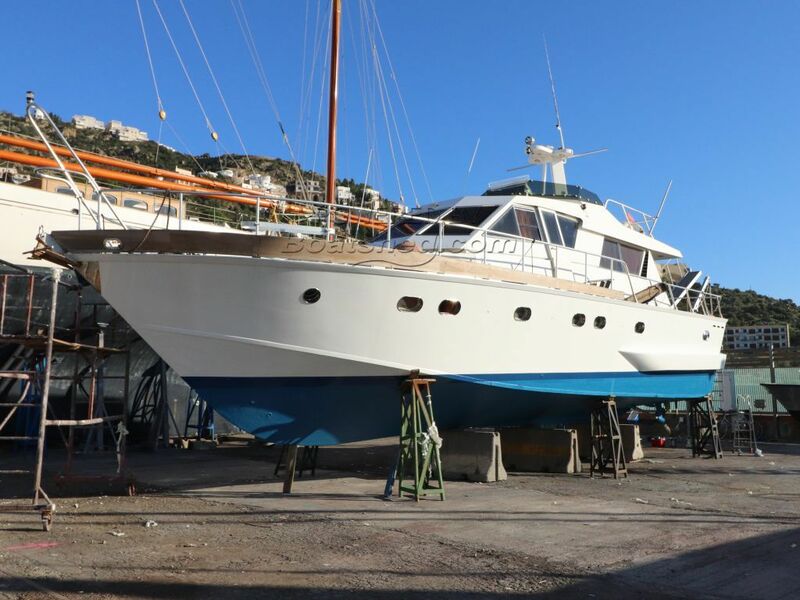 This Alalunga 18 has been personally photographed and viewed by Paul Griffiths of Boatshed Costa Brava. Click here for contact details. Please note this comments section is public. Please do not post your personal details here. To enquire about purchasing this boat, please contact the broker directly at boats@boatshedcostabrava.com. Please read our commenting guidelines before posting. are you based in Girona , re; viewing boats on your list.